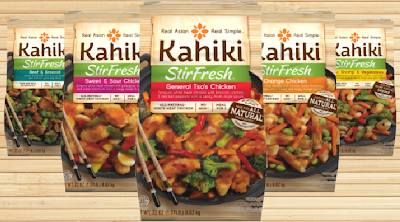 You've already seen Kahiki's new look, but we've been cooking up more than just prettier boxes. It's not news that people want food that's good for them, but some are still convinced that frozen meals just can't be as good as ones cooked fresh. We've come up with something we believe will challenge that line of thinking. Introducing StirFresh! 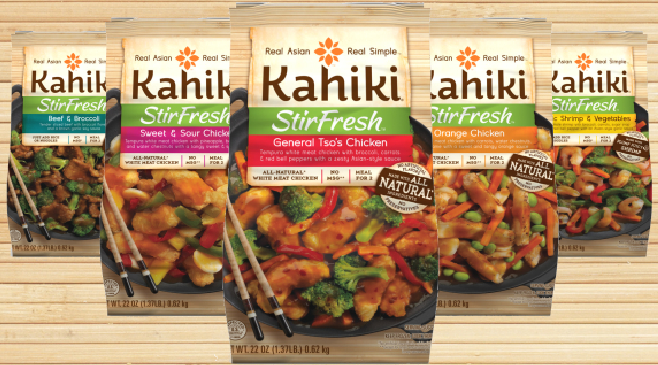 Marrying the freshest of all-natural ingredients with the convenience of frozen food, all wrapped up in a complete stir fry meal. We've seen lots of interest from both consumers and retailers in StirFresh and we can't wait to get it on shelves in 2014! We recently rolled out the first of a new series of recipes for consumers who are subscribed to our e-newsletter. 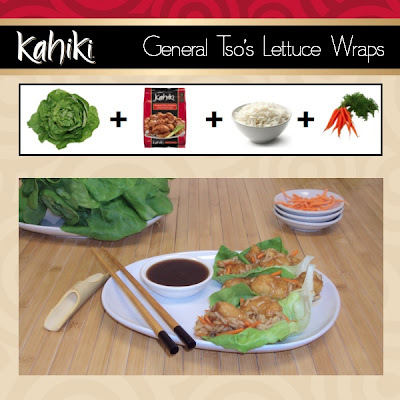 These General Tso’s Lettuce Wraps are a fresh and fun twist on our 26 oz. General Tso’s Chicken and we wanted to share it with you as well! We’ll be sending out more of these recipes throughout the year as well as updating subscribers on our upcoming brand relaunch, so feel free to sign up if you haven’t already by clicking here. Remove sauce pouches from bag and thaw in hot water. Evenly lay chicken on baking sheet and bake for 15-18 minutes. While chicken is baking, rinse whole lettuce leaves and pat dry, being careful not tear them. Carefully remove baking sheet from oven and let stand for 1 minute. Mix chicken, sauce, cooked rice and shredded carrots together in a bowl. Serve by spooning a portion of chicken mix onto a lettuce leaf and wrapping it like a burrito.